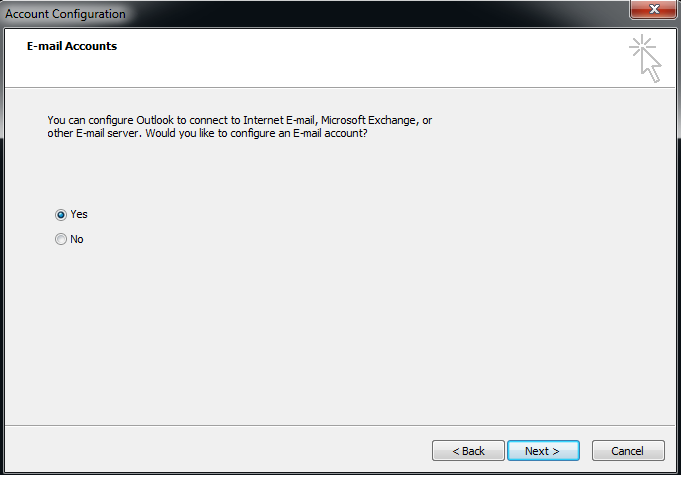 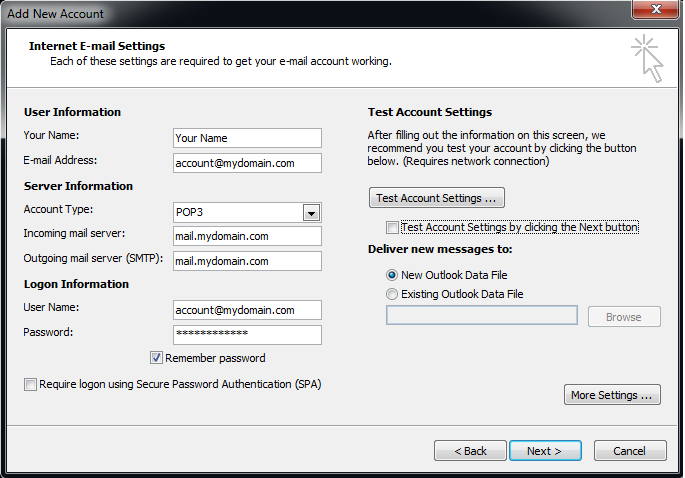 Open Outlook email application. 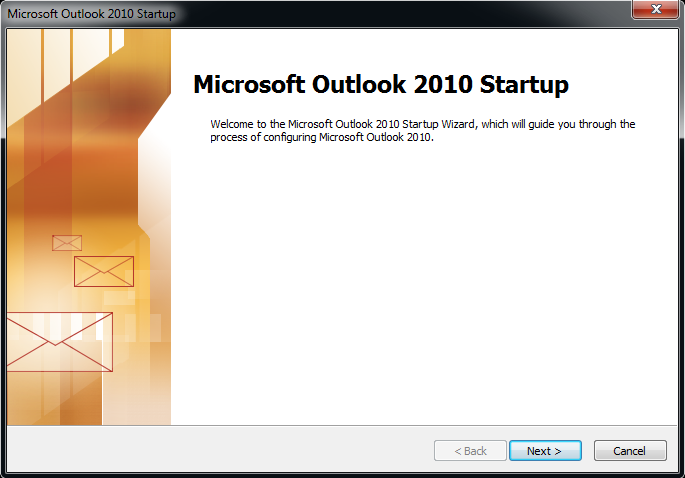 You will See the Start up Screen Click Next. 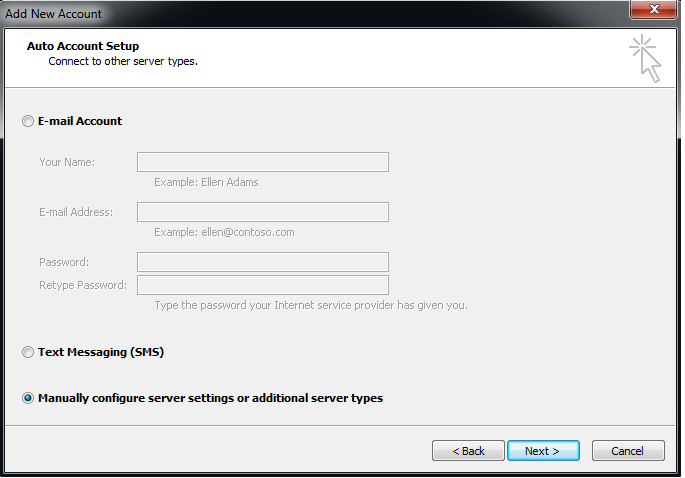 Select the check box "Manually configure server settings". 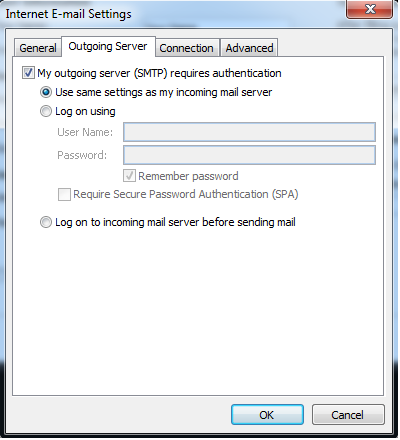 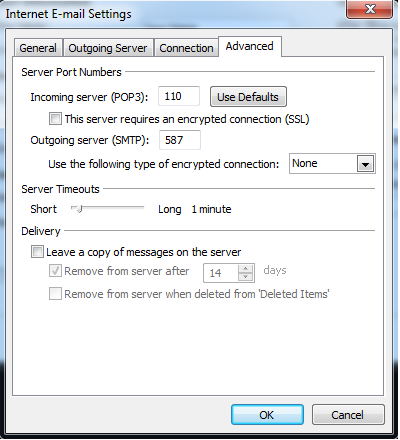 Click the "Outgoing Server" Tab , Check the Check box "My outgoing server (SMTP) requires authentication. 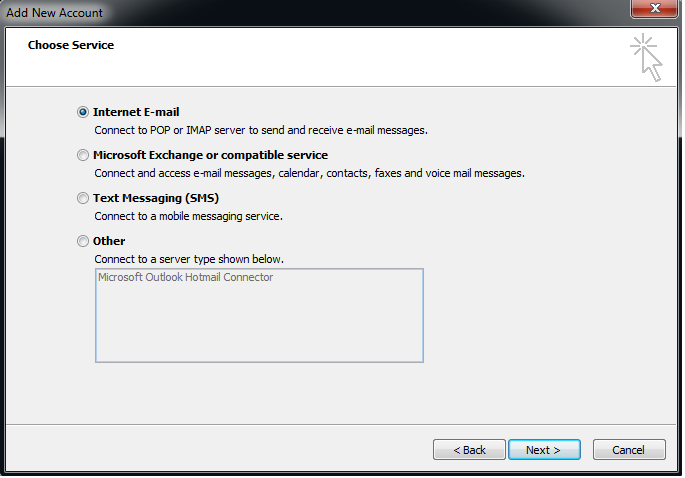 Click the "Advanced" Tab , Change the Outgoing server port from 25 to 587 , Un-Check Check box for :Leave a copy of messages on the server" Click "OK"